Mary Fletcher is sharing an exhibition with Wendy Topsey at St.Ives Arts club. 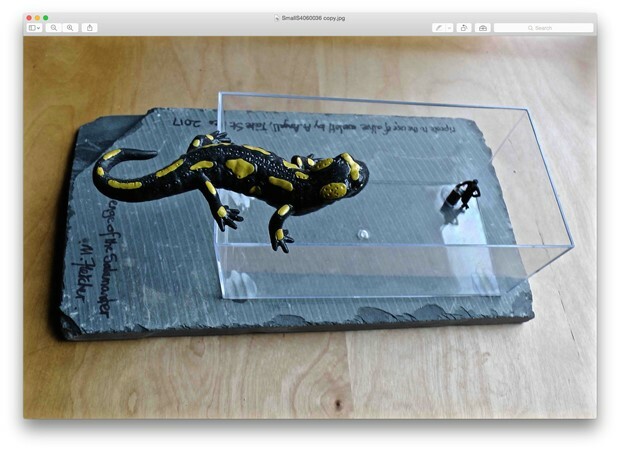 Mary is showing 'Revenge of the Salamander', made as a riposte to a work in Tate St.Ives which features a live axolotl and is by Aaron Angell. Otherwise the show will be a selection of her varied work plus textile art by Wendy Topsey.